More products ⇒ Monthly Card , Quarterly Card , Half-year Card , Investment Fund. Top-up Wings of Glory! Buy Diamonds using Maxis, Digi, Celcom or Digi Reload Card. There's no credit card, registration, or log-in required, and the Diamonds will be added in your game account immediately after you complete the payment. 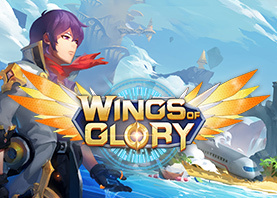 Download Wing of Glory Now! To find your ID, open the settings page. Your ID is shown on the top right corner. 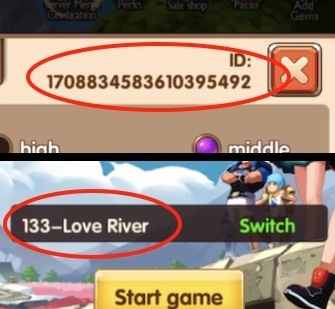 Your Server ID is displayed above the "Start Game" button after login. Buy Wings of Glory Diamonds online with no credit card! Wings of Glory immerses you in an exciting new world crawling with monsters hungry for a fight! Explore dozens of maps and environments, working alone or in a team to take down monsters and collect weapons and armor from them. Select powerful weapons, spectacular wings, eye-catching outfits, loyal pets, and the coolest beasts to ride into battle.